The wax museum is this Thursday from 10:30-11:25. It will be like an open house, so feel free to stop in at any time. Students will be writing short speeches for the wax museum today that will follow the format below. I will have them write the speech on two different note cards, one to keep at school and one to take home. We will prepare for the wax museum at school. I would be appreciative if you could help your child to find a simple costume to wear. Much like Halloween, students may be able to wear part of their costumes to school and put on the finishing touches before the Wax Museum begins. In math, we will be using egg cartons to explore equivalent fractions. Depending on how you create equal groups, the picture on the right could represent 2/3, 4/6, or 8/12. We will also continue to work on multiplication and division facts, aiming for better speed! In reading, we will be reading fun, short stories to practice a variety of reading comprehension skills. Students will also be writing a fiction story while practicing cursive skills. Great job on the M-STEP Reading Test last week! We have M-STEP Math Tests on Wednesday and Thursday of this week. Continue to encourage your child to show perseverance and to do his/her best! Our Field Trip to Berrien Springs is on Friday. We are excited to learn more about government through a mock trial! Please remember to pack a sack lunch on Friday since hot lunch will not be an option. We would also prefer that materials are disposable so that we can throw away all waste at the park. In math, we continue to study fractions and practice multiplication fact fluency. We have learned many different strategies to solve multiplication facts, and I am so proud to see students using these strategies. I'm hoping that students will begin to find these answers more efficiently (on average, around 4-5 seconds per fact) to develop better fluency. Multiplication facts are an excellent skill to practice during the summer, and it will make things easier in fourth grade! Thank you so much for the treats two weeks ago for Teacher Appreciation Week! The fruit, plants, and supplies were so generous and I thank you so much for thinking of me! Students will be taking the M-STEP reading test this Wednesday morning. The test is not timed, and our class has had a lot of discussions about the importance of perseverance and doing our personal bests. I am sending home a letter today that gives you some information about preparing for M-STEP testing. I sent home a letter and form about attending the Wax Museum. Please return the form if you plan on attending so that we can prepare name tags ahead of time. We have a short science test coming up this Friday on rocks, minerals, and natural resources. We do not use a textbook to teach science, so there are not any materials that students can bring home to use for studying other than the papers I have been sending home. Please have your child talk to me if he/she has any questions about the study guide. We are approaching the end of the year! If your child has a summer birthday, we would still love to celebrate! Please let me know ahead of time if you would like to send in treats sometime this month. Your child should now be finished taking notes for the biography project, and if you checked out a book from the public library, it can be returned. Thanks for your help with that! Now students are using their notes to begin writing their reports. Other than finding a simple costume to wear, we are handling the preparation for the wax museum at school, including the short speech. In science, we are discussing natural resources and how they are important in our daily lives. We are also learning to distinguish between renewable resources and non-renewable resources. Have a great week! Today, students began reading their biographies and taking notes about the person's childhood, adult life, and lasting impact. Later, they will organize these notes into an outline to begin planning their research papers. We have been practicing in class using a Jackie Robinson biography. If you checked out a biography from the public library, thank you for doing that! Please remember to renew the book for the next few weeks so that your child can use it for research. There will be a math test this Friday over geometry. The study guide is coming home today and it will be due on Thursday. In science, we are studying rocks and minerals. We learned from an experiment that a mineral is a single substance, while a rock can be made from various minerals. For example, the pink granite on the right (a rock) is made from a variety of minerals. This week we will also learn about earth materials such as gravel, sand, silt and clay. Students will take the NWEA Reading Test this Wednesday morning. I will encourage them to demonstrate perseverance and effort, which are key on a test such as this. There is no hurry, and there will also be breaks built into the testing session. During our media center time today, students will have another chance to check out a biography for the research project. I have also given them permission to bring one from home, choose one from the public library, or to purchase one. I hope that every student has a book by Monday, April 17th so that we can begin reading and taking notes. I am also encouraging students to choose a book that is near their reading level so that reading and taking notes will be manageable. In our writing time this week, we will read a story about Jackie Robinson's life together as a group. I will teach students how to take notes and organize notes so that they will be ready to begin their research projects next week. In science, we will begin studying rocks and minerals. I am inviting students to bring in a small rock tomorrow from somewhere outdoors. If they are not able to find one, no problem! I have plenty of extras. We will be using the rocks for observations, and they will become a part of our classroom collection. Today, we have a guest speaker coming from the American Red Cross as a part of The Pillowcase Project. This program, sponsored by Disney, is a preparedness education program for grades 3 – 5 that teaches students about personal and family preparedness and safety skills, local hazards, and basic coping skills. Red Cross volunteers lead students through a “learn, practice, share” framework to engage them in disaster preparedness and survival skills. Upon completion, students receive a sturdy pillowcase in which to build their personal emergency supplies kit. In math, we will continue to study area, perimeter, and fractions. In reading, students will practice using clues to make predictions about a text. Please remember that there is no spelling test this week, and I will hand out the new words this Thursday. Our music concert is tomorrow (Tuesday) at 7:00 at the Lakeshore High School auditorium. Students should arrive between 6:30 and 6:40, and we will meet in the LGI room near the auditorium. Have a great week! We are finishing our unit on force and motion this week. You will see a study guide coming home today, and there will be a short test on Thursday. In social studies, we are reviewing a few concepts related to economics including goods and services, supply and demand, and finding ways to increase demand (sales, incentives, improving the product...). Last week, you should have received a letter regarding Community Day. We are looking forward to this experience! Remember that the store permit is due this Friday, and Community Day itself is Thursday, March 30th. Any food items need to be peanut-free and individually sealed. Please let me know if you have any questions. In math, we continue to study the attributes of polygons and what makes each one unique. For example, a rhombus has four congruent sides. A square is a special type of rhombus with four right angles. A trapezoid has one set of parallel sides. A parallelogram has two pairs of parallel sides. Many shapes fit into more than one category. It can be confusing to keep it all straight, but with many activities and examples in class, students are getting the hang of it! In reading, we will finish some compare and contrast activities and then practice a variety comprehension skills using an article called "How to Save a Baby Elephant." This is an interesting story about efforts being made to stop illegal poaching. Students did a great job on their math tests last week! Please remember to continue practicing multiplication and division facts at home. We will begin our geometry unit this week and study the attributes of 2 dimensional shapes. In reading, we continue to practice strategies that help us to develop a deeper understanding of fictional texts. This includes looking for themes, lessons, and how characters change. We will read a story called The Popsicle Stick Bridge to practice these skills. This Friday, we will also be meeting with a kindergarten class to participate in Buddy Reading. It should be a fun way to celebrate reading month. Have a great week! In math, we continue to study the relationship between multiplication, division, and area. Students should be able to find the area of a rectangle by counting groups of square units or by using the formula Area = Height x Width. We have a math test coming up this Friday. The study guide is coming home today and it will be due on Thursday. In reading, we will be working on higher-level thinking skills such as finding themes and lessons, and using clues to draw conclusions. To practice those skills, we are reading a story called Seven Spools of Thread, which is a Kwanzaa folk tale. In the story, the brothers argue about who will receive an inheritance. However, they are forced to work together and they learn that "sticks in a bundle are unbreakable." In writing, students are finishing their informational book final copies. It is fun to see their writing, pictures, and text features! In social studies, we continue to explore concepts related to Michigan's economy, including specialization. Each region has special goods that it can share with other regions through exporting, and it can get goods that it needs through importing. We are also discussing public services that the government provides, and how the government gets money for those services (taxes, fees, and fines). Today you will be receiving information about Roosevelt's School-Wide March Reading Challenge. Have a great week! We have been practicing making inferences while reading. This is an important skill because it helps us to find deeper meanings and sometimes hidden messages as we read. We make inferences by using clues in the text and background knowledge to form a conclusion about what is going on in the story, even if the author does not clearly state it. We will also read a short play about Rosa Parks and use the text to review cause and effect and summarizing skills. In Writing, students are finishing their informational books. Their books are organized into three chapters, with each chapter containing a text feature such as a diagram, flow chart, graph, or fact box. The books will also include a conclusion and a glossary to define key words. It is fun to see their creative ideas as they approach this assignment! In Social Studies, we will be studying some of the most important types of economic activity in Michigan, such as agriculture, manufacturing, tourism, services, and research. Another key concept is that resources are needed to produce goods and services (natural resources, capital resources, and human resources). In Math, we continue to study multiplication and division concepts. Here is a link to multiplication strategy posters that we are using to better understand the facts. Today we will be decorating small bags that will be used to collect Valentines tomorrow morning. I told the students that if they would prefer to make some sort of creative mailbox at home and then bring it to school, they are welcomed to do so. Have a great week! We have a lot of new beginnings this week! Over the next few weeks, students will be writing their own informational books using a topic of their own choice. It should be something that they know a lot about and something in which they are interested. I might write my book about running, music, or basketball! A lot of important reading and writing skills will be addressed in this unit. This week, students will brainstorm a topic and then create three main categories of information. These will later become the chapters. Then they will brainstorm some important ideas and details to include in each chapter. We have a Math test on measurement and fractions this Wednesday. The study guide was sent home on Friday and will be due tomorrow (Tuesday). In Math, we will be starting a new unit on multiplication, division, and area. As we work on these concepts in class, please keep in mind that practicing multiplication facts at home is extremely helpful! Look for a family letter to come home soon summarizing the unit. In Social Studies, we will be studying Michigan's economy. We will discuss how Michigan's natural resources are used to create goods and services. We will also discuss concepts such as scarcity and choices as they relate to economics. On Friday, you should have received a pink calendar from the WSBT "I Love to Read" challenge. Students can track their reading minutes this month and possibly win a prize (details are on the back of the calendar). Tomorrow, you will also be receiving the Book-It calendar for February. If students read this month, they can feel free to track their minutes on both calendars. Both calendars are optional. In Science, we will continue to study concepts involving sound, including that it is made from vibrations and that it travels in sound waves. We will also explore the difference between sound waves of low-pitched and high-pitched sounds. We are excited to see all of the instruments on Thursday! I have reminded students that they will need to give a short verbal explanation that includes the type of instrument they made (wind, percussion, or string), and how the instrument makes sound. There will be a short Science test on Tuesday, January 24th. I will send home a study guide toward the end of this week. The study guide does not need to be returned to school, but feel free to let me know if you have any questions! Please remember to sign up for a Parent/Teacher conference at ptcfast.com. You will need the letter that I sent home last week that contains our classroom code. Please let me know if you need another copy of the letter. In Math, students will be solving story problems involving mass and volume and we will also study fractions. In Reading, students have been finding causes and effects in stories. In Writing, they will be finishing their opinion papers. Today, you will be receiving a note with directions on how to sign up for a parent/teacher conference at ptcfast.com. Please remember to leave a 15 minute gap between conferences of siblings in different classrooms. In Math, we are in the middle of a unit involving time. Students should be able to tell time to the nearest minute. They should also be able to use a number line to solve problems involving elapsed time. An example is given on the right. We will begin to study some basic fraction concepts in this unit as well. In Science, we are finishing a study of light. Students did an experiment to learn about transparent, translucent, and opaque materials. Soon we will transition into the study of sound. You should have received a note about creating instruments at home. I cannot wait for students to share these instruments on January 19th! In Reading, students will read stories called Stone Soup and What's For Lunch. ​They will look for similar themes between both stories. They will also have opportunities to practice reading fluency (reading quickly and smoothly with expression). Have a great week! On the left side, we see 529. One was added to make 530 on the right side. Therefore, to keep the equation balanced, we must take one away from the 543, and the answer is 542. This strategy is called Give and Take. When subtracting, we are finding the difference, or how far apart two numbers are. On the two sides of the equation, the numbers must be the same distance apart. On the left side, we see 529, but it increased by one to make 530 on the right side. Therefore, we must also increase the 543 by one in order to keep the numbers the same distance apart, and the answer is 544. This strategy is called Constant Difference. In Science, we are using flashlights, boxes, mirrors and other materials around the classroom to learn about light. Concepts this week include that we need light to see, light travels in a straight path without bending corners, and light can be reflected by mirrors. In Reading, we will discuss something called author's viewpoint. Author's viewpoint helps us to realize that each author writes from a certain perspective (and sometimes bias), and we must consider that perspective as we read. For example, a one page advertisement for a television is written by someone who is paid to make the television seem like an attractive choice, so we must keep that in mind as we are reading. For students taking the "Within Words" spelling test, the word "tube" is written on the list twice. I will not add a different word to the list. This week's test will be out of 14 points. In Writing, we will continue to write personal narratives. Skills will include organizing story parts into paragraphs, using transitions to show passage of time (suddenly, in a few minutes, after awhile...), and using dialogue. In Reading, we will study Author's Purpose. In general, there are three reasons why authors write: to inform, to entertain, or to persuade. Remember that the Book Fair is visiting our media center this week! Our class will browse on Tuesday and students will have the opportunity to write down some ideas in case they would like to bring money later in the week. Have a great week! I hope you had a wonderful break! In the next couple of weeks, we will revisit personal narratives (a short story about a special moment or event in our life). I will help students to look back at their personal narratives from the first marking period and determine one or two specific skills than could use improvement - for some it might be organizing the story using paragraphs, for others it might be using transition words. Then we will review those skills in mini-lessons each day and have time to write! In Social Studies, we will be finishing a study of Michigan's early history. The key time periods include: Native Americans, European Explorers, Settlement, and Statehood. It has been fun to explore the different groups that occupied our state, such as the Native Americans, the French, the British, the pioneers, and the conflicts that occurred. As an assessment, students will cut and paste key events in order onto a timeline. We also have a guest speaker coming on Wednesday from the Pokagon Band of Potawatomi. In Reading, students will be learning to identify facts and opinions. In Math, we will continue to work on strategies to add and subtract three digit numbers. Students will try to find the most efficient strategies to solve certain types of problems. For example, in 578-26, removal on a number line is efficient. Simply jump back 20 and then jump back 6. To solve the problem 362 - 347, differencing on a number line is efficient. Start at 347 and add 3 to get to 350, add 10 to get to 360, and add 2 to get to 362 to find that the numbers are 15 apart. As a reminder, we will have some opportunities to practice the standard algorithm, and you are also welcome to do that at home. Great job on the math tests last week! We will continue to study multiplication all year, and any practice you can do with multiplication facts at home would be greatly beneficial! Now we are moving on to a unit involving rounding and triple-digit addition and subtraction. Students will not be expected to master the standard algorithm at this point (borrowing and carrying) because there are other strategies that students need to see first. 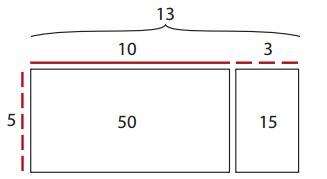 For example, in 302 - 195, it is important to recognize how quickly we can use a number line to find the difference (start at 195 and add 5 to get to 200, add 100 to get to 300, and add 2 more, and we find that they are 107 apart. However, we will have some opportunities to start getting familiar with the standard algorithm, and you are welcome to do that at home as well. Last week, I wrote that we would be studying the economy in Social Studies. Then I realized that this is a perfect time to learn about Michigan's History because students are interested in Native Americans and settlers at this time of year. Therefore, we skipped ahead to Michigan's History and we will come back to Michigan's Economy later in the year. Last week, we discussed how historians gather information (artifacts, primary and secondary sources). We also discussed the tribes that made up Michigan's Three Fires (Ojibwa, Potawatomi, and Ottawa) and something that was very important to the tribes: storytelling and legends. We read legends such as How the Beaver Got Its Tail and The Legend of the Sleeping Bear Dunes. We are excited to learn about why the French and the British came to Michigan this week! In Writing, students will share their Thanksgiving stories and we will also take some time getting caught up on cursive writing. Our Reading skill this week is fantasy versus reality, determining details in a story that could or could not really happen in real life. The fundraiser ends today, so please send in the orders if you have not yet done so. Have a great week! We have a math test on Thursday, and the study guide will be coming home today. Feel free to go over the study guide with your child to see if there is anything with which they might need more practice. The study guide will be due on Wednesday. In Reading, students will read some folk tales including The Strongest One, and The Wind and the Sun. 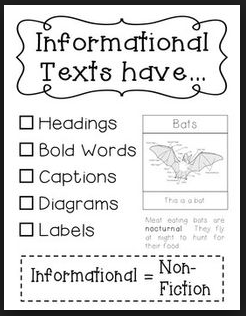 We will work on summarizing skills in addition to finding important themes and lessons in the stories. Before beginning our next formal writing unit, students will have the opportunity to write some creative stories about Thanksgiving and respond to prompts such as, "What are three things you are grateful for in life and why?" or "Write a poem about fall." Each prompt will lend itself to practicing a specific skill such as paragraphs, transitions, or creative word choice. In Social Studies, we will be starting a unit on Michigan's Economy. Look for the report card to come home this Friday and for opinion papers to come home sometime this week. Just like the personal narratives, I attached a rubric. Each skill on the rubric contains three categories: Not Yet, Starting To, and Yes! This should help students to understand what they can work on next marking period when we write opinion papers again. Have a great week! Over the next couple of weeks, our students will be participating in a fundraiser to sell items and earn rewards. I forgot to hand out the bags today, but look for those bags to come home on Monday. The bag will contain a letter that explains everything you will need to know about the fundraiser. As a reminder, the Halloween Party is on Monday, October 31st. We will give students time to change into their costumes before the party if necessary. However, if there are parts of the costume that can be worn to school in the morning without causing a distraction (such as certain pants or shirts), that would make the process even easier. Please bring the rest of the costume in a bag labeled with your child's name. In the past couple of days, students used computers to research an animal of their choice, and then created a lapbook to explain topics such as appearance, diet, habitat, and adaptations. Some of them will be taking the booklet home to finish during the weekend. I know that it is a large transition to fourth grade next year, and I want to provide students with some natural opportunities to show responsibility by completing work at home when it is not finished in class. We are continuing to learn exciting new multiplication strategies, and we have been using smaller groups to solve larger problems. In Writing, students will complete final drafts of their opinion papers next week. On Tuesday, you will see students' first marking period personal narratives coming home. Each skill on the rubric contains three categories: Not Yet, Starting To, and Yes! This should help students to understand what they can work on next marking period when we write personal narratives again. In Math, we have been using arrays to explore different properties of multiplication, including the doubling property. 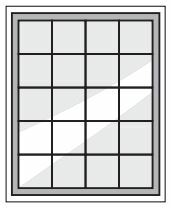 In the picture on the right, we could use 5 x 2 to find the number of windows on the left side, and then double it to find how many windows there are in all: 5 x 2 x 2 = 20. The doubling strategy will also be used while solving multiplication facts. You can use the doubling strategy with any fact that contains an even number. For example, to solve 7 x 4, we could solve 7 x 2 = 14 and then double it (7 x 2 x 2 = 28). It's exciting to explore and learn more about multiplication! In Writing, we will begin writing opinion papers. Students will brainstorm their own topics this week such as, "Fall is the best season," and then create some reasons to support that opinion. The most important skills of this unit will be organization of writing into paragraphs, and using details and examples to support an opinion. In Reading, we will read a story from our Storyworks Magazine called "Lost in a Blizzard." It is a true story from 1888 about a boy who carried his brother all the way home to safety. We will use the story to practice reading skills such as sequencing and using text features to aid comprehension. The Halloween Party is on Monday, October 31st. We will give students time to change into their costumes before the party if necessary. However, if there are parts of the costume that can be worn to school in the morning without causing a distraction (such as certain pants or shirts) that would make the process even easier. Please bring the rest of the costume in a bag labeled with your child's name. Have a great week! In Writing, students have been excellent at learning skills during our mini-lessons and applying them to their own stories. This week they will choose one personal narrative to edit and publish. Our Reading skill this week is problem and solution (What is the character's problem, and what steps are taken to solve it?). We will also continue to practice writing compare and contrast papers using topic sentences to make the writing clear. In Social Studies, there was no test or quiz over the unit 1 material, but students were able to demonstrate an understanding of important concepts through lesson reviews along the way. Now we will begin to study plants in Science. Our key concept this week is understanding the functions of different plant parts including the roots, stem, leaves, flowers, and seeds. In Math, Unit 2 involves basic multiplication concepts. Look for a family letter to come home today that explains some of the strategies in this unit. I sent home the Book-It Calendar for October. Book-It is optional, but it is a great way to encourage your children to read at home! Our goal is 20 minutes on 20 different nights each month. Please return the calendar at the end of the month for a free personal-pan pizza! A few weeks ago, students took a Spelling pretest so that I could determine their development stage and form appropriate groups. Your child brought home his/her spelling list last Thursday. We don't have a lot of time available at school to practice, so the majority of studying will be done at home. The first test will be on Thursday, October 6th. We have not studied the standard algorithm (borrowing and carrying) yet in class, so many students are using the number line strategy to find the difference between numbers. You may want to check-in with your children as they are completing the story problems on the study guide. ​In Reading, students will read an informational book and poem about penguins, and they will use the passages for a compare and contrast activity. In Social Studies, we will finish discussing Michigan and its human and natural characteristics before we move on to science. We have been having some discussions about how to be an active learner and participant during our lessons. There are times when lesson reviews/checkpoints (small quizzes) are given at the end of the lesson and students have the opportunity to show what they learned. They are not supposed to be tricky or challenging, but they do require that students put forth effort to listen and learn during the lesson if they are to gain the key information. We have had a few Social Studies lesson reviews/checkpoints thus far, and we will continue to practice active learning strategies as the year goes on. I will be sending home spelling words on Thursday, September 29th, for the test on Thursday, October 6th. I was able to use a pretest to form groups and hopefully provide students with words that will be meaningful to them at their current developmental stage. Have a great week! We are ready for another great week! Our classroom receives Storyworks Junior Magazines each month that contain a variety of stories, articles, and activities. It is fun to use these passages to teach comprehension skills, and students will be able to take home the magazines at the end of the month. This week, we will read a story called The Big One and practice skills such as making inferences and understanding characters' feelings. In Math, we will learn a few subtraction strategies and games. Homework will be coming home tonight. In Social Studies, we will continue to study the geography of Michigan including its key landforms (peninsulas, sand dunes, lakes, islands) and natural resources (forests, crops, iron ore, limestone...). On Friday, there will be a quiz over the cardinal and intermediate directions, as well as the Great Lakes. A short study guide is coming home tonight. It does not need to be returned to school. ​I am still organizing spelling groups, but I will let you know in the next week or two when the first set of words will be coming home. Have a great week! We are off to a great start! Our first week was filled with learning routines and procedures that will help to lay the foundation for a successful year. This week we will have the opportunity to focus more on academics. Students will take the NWEA test in Math and Reading. These tests are not mandated by the state, but we use the results to guide instruction and to see progress throughout the year. In Math, Unit 1 is a review of addition and subtraction strategies. Although parts of the unit may be review, there are some very important strategies that students will use to solve more difficult problems later in the year. Look for homework to come home tonight. In Reading, we are studying story elements (setting, characters, and plot) using the book, First Day Jitters. We are also building "Read to Self" stamina. Read to Self (sustained silent reading) is important to our classroom because during that time, I am able to work with small groups of students who need help with particular skills. Just like how a runner prepares for a marathon by running a small number of miles and then building up to 26, students are reading for short periods of time and trying to build up to 30 minutes. Our goals are to stay in one spot, ignore distractions, and read the whole time. In Writing, we will begin studying personal narratives. Personal narratives give students the opportunity to write small stories about true events in their lives. In Social Studies, we are studying communities and exploring the differences between a community, a county, a state, a country, and a continent. Thank you for completing all of the beginning of the year forms, and for signing your child's planner each night. Back to School Night is this Wednesday from 7:30-8:15. I look forward to seeing you!